Google has a new unit that you can call a telecom company. Google Fi, the new name for Project Fi, is a mobile virtual network operator (MVNO) – “a wireless communications services provider that does not own the wireless network infrastructure over which it provides services to its customers”. In U.S., it offers subscribers a great deal when you consider what leading telecom companies charge. Google’s wireless communications service Project Fi expanded its capabilities Wednesday, now offering its network to the majority of Androids and iPhones—a huge expansion considering the service was previously only available on Google’s own Nexus and Pixel phones, plus a handful of Android devices. To make its growth official, the mobile virtual network operator (MVNO) service is rebranding as Google Fi. Under the new name, the three-year-old company will continue to offer subscribers unlimited talk and text for $20 per month with an additional $10 per gigabit of data used. This deal is now available to phones running on Android 7.0 or higher with LTE bands 2 and 4, Venture Beat reports. For Apple, the device must have iOS 11 or higher, and it’s only available in beta through the Google Fi iOS app. Nigeria is many years before MVNO but when that moment finally comes, you may be surprised that companies like Google may be interested. It would not hurt the real players like MTN and Glo since their infrastructures would still power whatever Google has in mind; Google will surely compensate them. 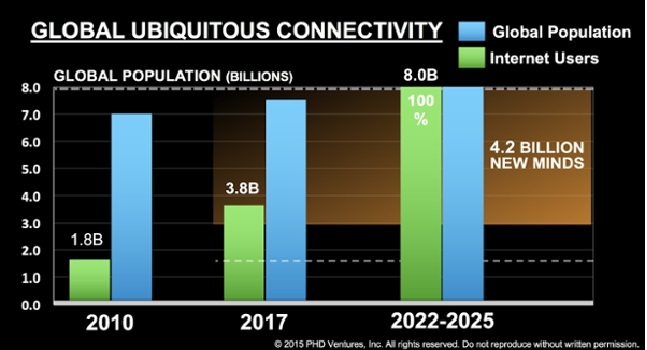 No matter how you look at it, immersive connectivity is on the way. I had predicted 2022 and it is looking real. This explains why you should be building internet-based businesses despite the present state of things. Yes, our digital sector will grow at exponential pace when that moment arrives. I predict that Google Fi mobile service plan would be the most promising service plan in Africa, helping telecom operators to move from prepaid services to contract-based services [that would make them more profitable removing the OTT challenges]. Because in near future, feature phones would fade and smartphones would take over, providing opportunity for Google Fi. Yes, it is possible that your mobile service can be infused into Android – the Google-owned mobile operating system – making it easier to sync phone software and billing for wireless services. Simply, if your mobile operator is Google, your Android could as well collect the monthly plan payments. Besides, it is going to be possible to be phone-bill free if you activate a feature in Android which would enable Google to send adverts to you. There is no reason why you should not be building on the web – immersive connectivity is just around the corner.